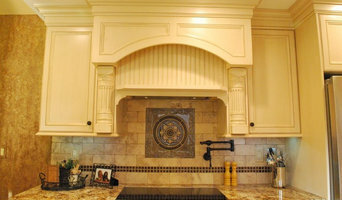 I specialize in cabinet refinishing - painting, glazing, antiquing, distressing. I can also assist in color selection and hardware selection. Because my background is in design and remodeling, I am also able to help in selecting designs such as countertops and backsplashes and appliances. I'm not a licensed contractor, but I have worked in the field for years! We are a hardworking couple that specializes in cabinet refacing. When your cabinets are in great shape with little wear, why replace when you can reface them! We have been sub contracting from a local company for 6 years and now are looking to branch out and save our customers more money! Cabinet refacing includes taking off old doors and fronts of drawer boxes, sand down the fronts, apply laminate to the facings, file then install new doors and hardware. Cabinet refacing is half the price of installing new cabinets and is much more durable. 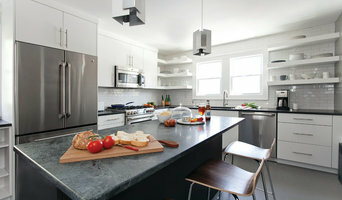 We are a manufacture of custom furniture grade cabinetry. We can design cabinetry or furniture for you project with your style input or work with a plan from an interior designer or builder. With a in home appointment we will be able to bring you project to life using 3D drawings so you may get the feeling of your new space. 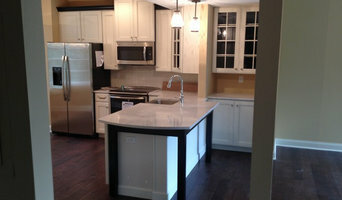 WE BUILD REAL WOOD FURNITURE AND FINE CABINETRY IN AURORA, INDIANA. HANDCRAFTED AND BUILT TO LAST, EACH PIECE IS AN EXPRESSION OF UTILITY, FREE OF UNNECESSARY ORNAMENTATION, UNIQUE, AND CUSTOM MADE. OUR FURNITURE AND CABINETRY IS CAREFULLY CRAFTED TO THE SPECIFICATIONS OF THE INDIVIDUAL CUSTOMER ONE PIECE AT A TIME. EACH PROJECT IS DISTINCTIVE AND PERSONAL, AND WE DO OUR BEST TO MAKE ALL OF OUR CUSTOMERS FEEL HAPPY AND CONFIDENT WITH THEIR PURCHASE. TO DISCUSS PRICES OR TO REQUEST A QUOTE ON A PIECE OF CUSTOM FURNITURE OR REPAIR WORK, PLEASE CONTACT US BY PHONE OR EMAIL.IF YOU WOULD LIKE TO DISCUSS PRICES OR REQUEST A QUOTE ON A PIECE OF CUSTOM FURNITURE, PLEASE CONTACT US BY PHONE OR EMAIL.